When it’s really hot, things are pretty quiet around here from lunchtime to around sundown. Then, when the long warm Bakersfield dusk comes on, everyone starts coming out again. 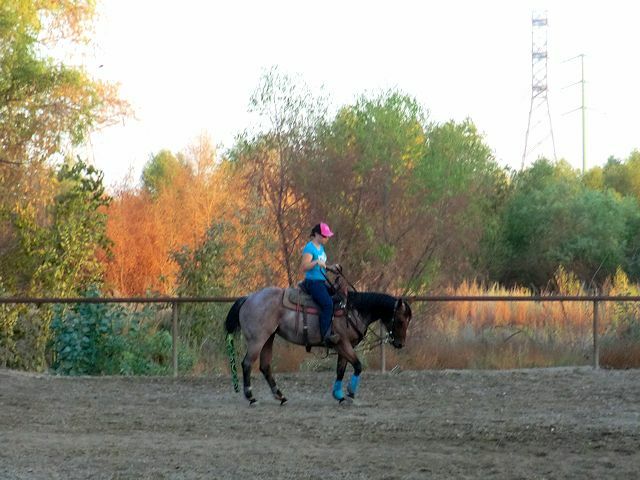 Early evening is a perfect time for schooling horses. It’s a good time for trail riding, too. But not all of the activities center around horses. 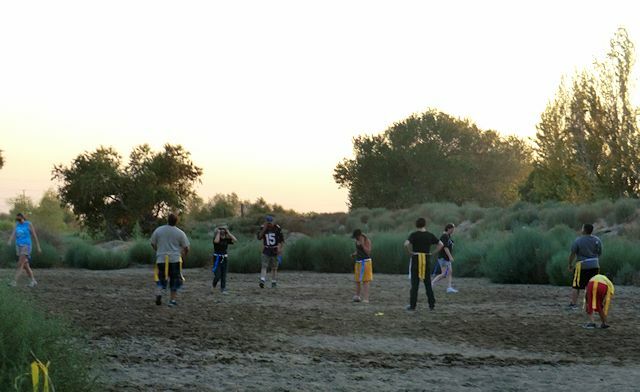 Here, for example, is a family flag football game taking place in the dressage arena. It’s not dressage, but there was some fancy footwork! They were having a great time. 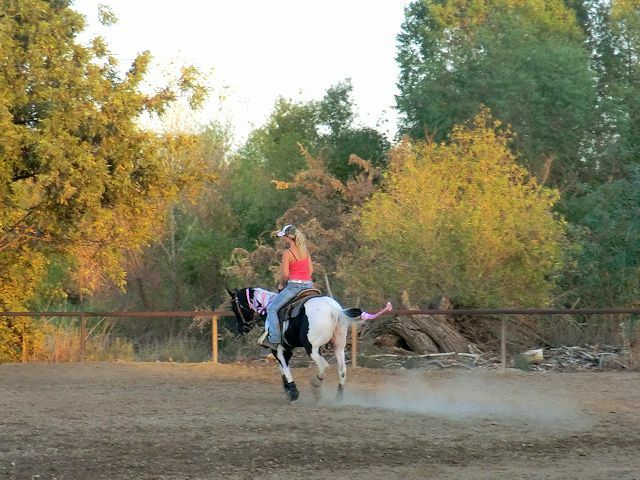 It’s good to see people having fun, with or without their horses. That’s what we’re all about, after all. By the way, Rye is settling in nicely. She has learned to use the dog door, and comes in looking a bit sheepish. She has yet to bark at anyone or anything, though!